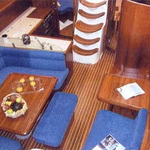 Sailboat Sun Odyssey 43 named 43Aladar was produced in 2003. 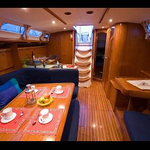 We offer her from harbor Puntone in the region close to Elba And Tuscany. 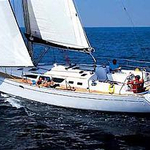 43Aladar is licensed for 8 pax. 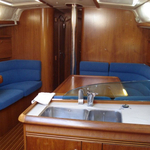 Layout of the yacht is 8 +2 in dinette. 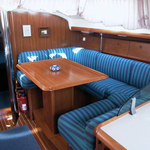 Sun Odyssey 43 43Aladar has 4 bedrooms. For comfort of passengers there are 2 heads with showers. You can fill the fuel tank with 200.00 l liters and in tank for water it goes even 400.00 l liters. 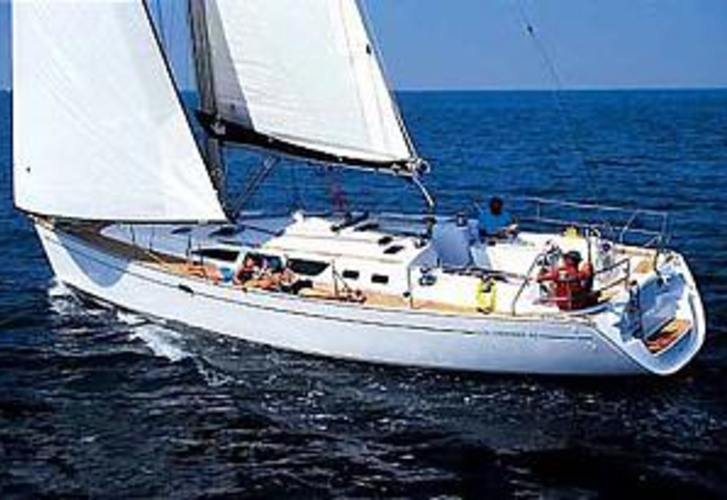 With motor 55 hp 43Aladar can navigate really fast. 43Aladar is 13.21 m long and 4.19 meters wide. 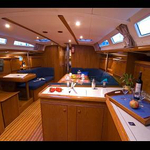 Draft is 2.00 m. Use our website to find our offer by navigating to this section: Yacht charter Puntone. 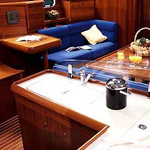 Yacht's equipment includes : Autopilot, Gps plotter, Bimini top, Anchor electric windlass, Teak cockpit, Dinghy, Radio / cd player, Furling mainsail. . Security caution is at the level of 1800.00 EUR. 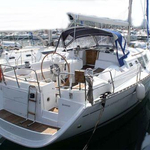 Choose our offer and have good time on the deck of 43Aladar. 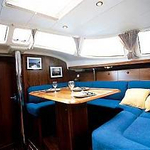 This Sun Odyssey 43 from Puntone from Italy Use our website to find clicking here: Yacht charter Italy.